Exhilaration seeps from the track, the sounds, the smells and the spectacle all conspire to grab you by the heart. 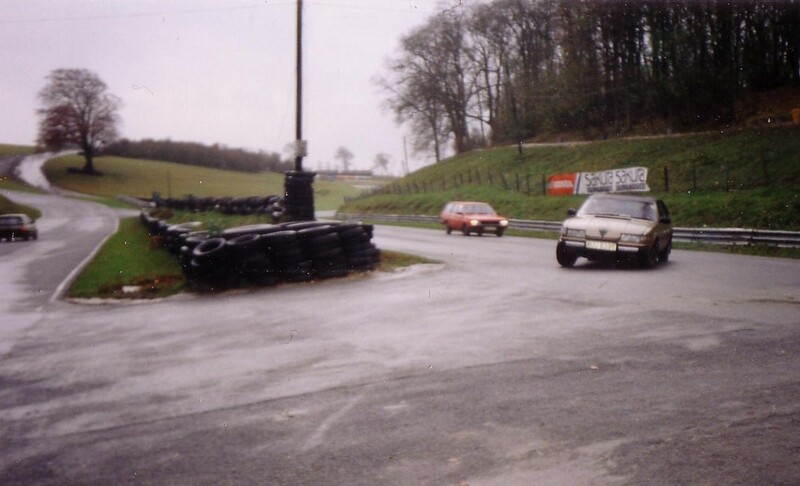 The fact is that you would have to go a long way to beat the sheer enjoyment of driving at full chat round one of our many splendid race circuits, so it is probably quite high up on your list of things to do. Track day veterans will tell you there are a few secrets to success, some of which might sound surprising if you are new the scene. The great thing about track days is that they are not a race. In fact racing is strictly prohibited, the idea is that everyone can go as fast as they feel happy with and enjoy the day. Corners are where the fun happens, you are entitled to handle the corner in any way you can without being hassled by faster cars. So overtaking is only allowed on the straights, it is quite common for faster cars to hold back on the straight to give themselves some space in front so they can then take the corner flat out without risk of encountering a sower car. Many people worry that they are in some way ‘not good enough’ or that their car isn’t ‘fast enough’, this is normal and nothing to worry about. Because there is no minimum speed, no racing, nothing to compete against except your own fear, you could turn up in a bog standard diesel family hatchback and still have a great day. 1.You will need to feel comfortable, so wear comfy clothes. Shoes are very important pieces of equipment, ideally they should have soft soles so you can feel the pedals, but the most important thing is that they must be tight enough to give you accurate control but not so tight that they hurt after an hour or so. Thick soles such as trainers should be avoided. 2. You do NOT need a stop watch, you will not be taking lap times, this is not a competition and racing against the clock leads to accidents and a level of self imposed stress that can ruin a fun day. where the oil in the sump sloshes away from the pick up pipe. Again check for advice on your particular model. Either way check the oil level after each run, consumption will be higher than for normal road use, take spare oil. 4.Keep an eye on the temp gauge and if it starts creeping up then ease off and investigate the cause in the pits. But only look at the gauges when safe to do so on the straights. Don’t look at the speedo, it wont help. Do look at the rev counter and avoid the red line, preserve the engine. 5.It is vital to do a cool down lap before coming in (High gear, low speed and don’t touch the brakes) to loose the stored heat in the engine, exhaust and brakes. Never put the hand brake on, once the brakes are hot it warps the disc and can bond on quite resolutely. 6.After a run has been completed open the bonnet and let the heat out, all the metalwork will be hot and will soak into fuel lines and electrics whilst parked up. Whilst there check everything is still attached and not leaking. 7.Keep checking your tyre pressures, you will be pushing your tyres harder than you ever could on the road so the right pressure is vital. 8.Don’t take loads of spare parts, what ever spares you take you wont need, what ever spares you need you wont have. Best not worry about it. But do take fluids. 9.Take drink, a hat and sun glasses, tracks are strangely drying places, keep hydrated otherwise your concentration will fade faster than your brakes. 10.The first few laps will be a bit bewildering, most people feel lost. This is normal and nothing to worry about. Your first few laps should be used to get familiar with the layout of the circuit. Just take it easy and build your speed gradually, you have all day and after lunch you will be much faster. Diana enjoying the delights of Bedford Autodrome. 11.Chat with the other participants, find someone with a bit more experience and get them to sit in. But bear in mind that anyone who says they are experienced is usually a deluded, the best guides are the quiet ones who don’t boast. Better still pay for some proper tuition. 12.After lunch pick someone who has a car that should in theory be as fast as yours, follow them and try to keep up, don’t worry if you can’t. 13.Keep a safe distance from other cars, particularly breaking for corners. Build a bit of space by hanging back on the straights so you can safely go flat out through the corners, where the fun is located. 14.When you spin off, stay calm. Stop for a few seconds and collect your thoughts. Follow the marshals directions, check all around for other traffic and indicate when you re join the track. Your tyres will be full of mud so don’t go too fast and stay off the racing line until they clear, it will sound like a hail storm as the grit is thrown into your wheel arches but don’t let this concern you. 15.Take pictures. Lots of pictures. Take friends who are good with cameras. Video is even better but you must get permission from the circuit and also from the event organizers first. 16.Enjoy yourself. 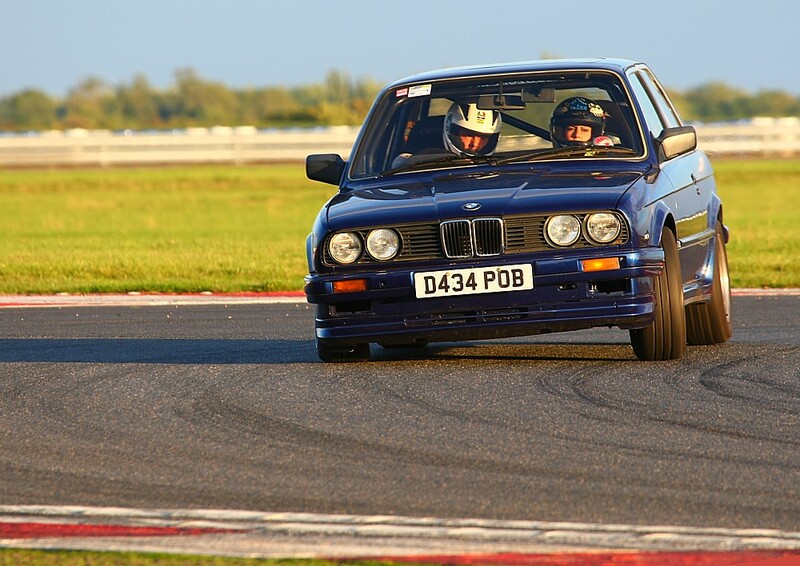 Don t push too hard, there will be other track days and the chances are on the first outing you will find niggling faults on the car anyway, preserve the car and yourself. Remember this is not a race, it is not a test, it is not a test of your honour. 17. When packing up to go home take a few moments to make sure you have everything you came with. Check the car is safe for the road if you are driving it home, check the tyres for damage and make sure the tyre pressures are right. Check the fluids again and if you taped up your lights remember to take it off! You’re never too young to start, err, well…..
18. On the way home keep your speed down, nothing you learn on the track is appropriate for road use! You will have become accustomed to going very fast, your road speed may creep up on you without you realizing. 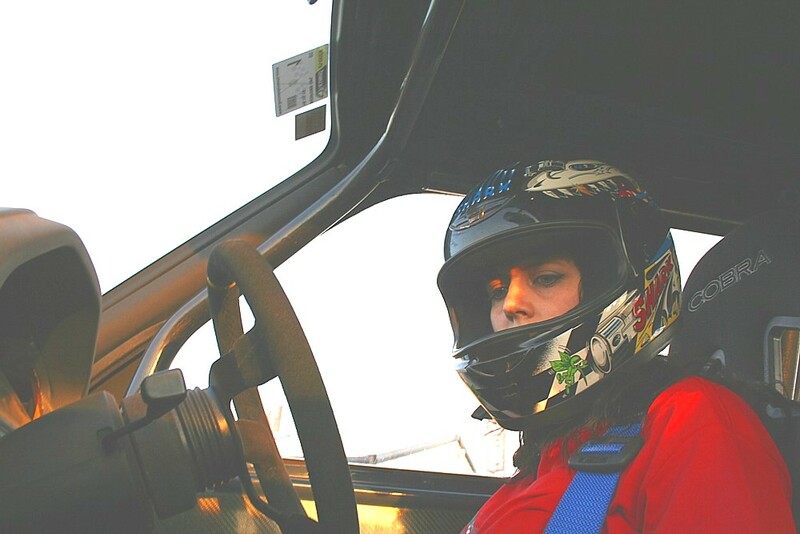 After your first track day you will probably be hooked, ideas for improvement to both yourself and the car will start pouring in and you will find it impossible to talk about anything else. You’ll see signs about the track saying ‘motorsport is dangerous’, but what they don’t warn you about is that it is also highly addictive. If you start down this route the chances are your life will never be the same again. Go on, book a session right now! 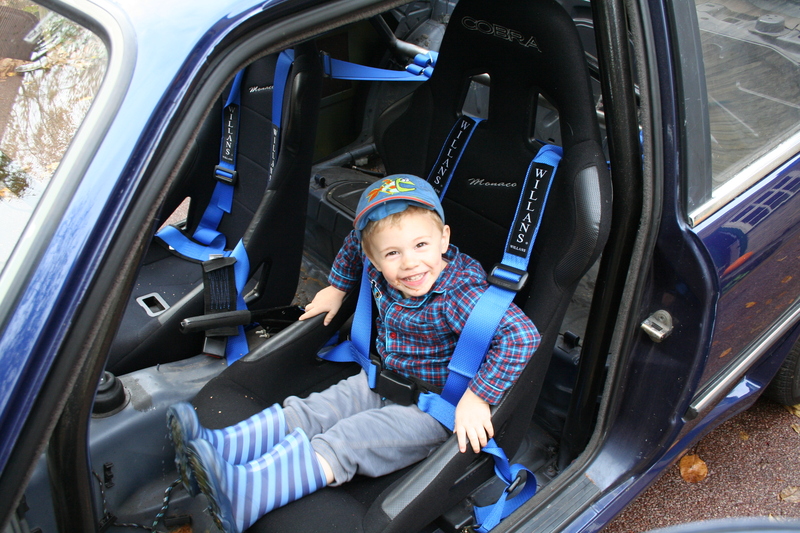 PS: Why not hire a track ready car for your first time on a track? I’ve recently worked with Track Group Ltd who have some rather fun offers. Please have a look at their web site, and if you do decide to book a session with them be sure to mention my name. Previous Previous post: Cars, Money and Media.